How Do I Make the Most of My Human Resources Internship? As you approach graduation and completion of your degree, you will likely be required to take a human resources internship. This is a hands-on experience with a company in which you will gain real life knowledge and put the theories you learned in the classroom to work. You can gain a great deal of valuable experience in your internship and even improve your chances of receiving job offers when you graduate. The key is knowing how to make the most of the experience. An employee of the company where you are doing your internship will be assigned as your supervisor during this time. He or she will assign you tasks, oversee your work and meet with you to provide feedback and discuss your progress. It’s a wise idea to get to know your supervisor and to take the opportunity to ask questions during your time on the job. You can learn quite a lot of first-hand information about various aspects of human resources like personnel law and how to handle certain employee issues. Taking the time to show your sincere interest may also make you a candidate should a job open up in the future. 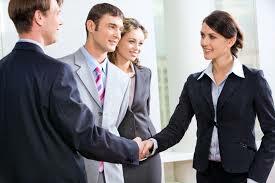 You will be offered a number of opportunities during your human resources internship. Try to take advantage of as many as you can. Attending meetings, conferences, events or even after work happy hours may not be required, but they all offer a chance to learn something new. You’ll have the opportunity to network with others in the human resources field, find out about innovative practices and get your name out there among your future colleagues. These are real on-the-job experiences that you simply won’t find in the classroom or on campus. If you work hard and always go beyond the call of duty, your supervisor will probably be happy to write a letter of reference for you. Do be sure to ask for one, as a good word from a human resources professional can take you far in a competitive job market. It would be a good idea to seek letters of recommendation from other professionals with whom you worked directly, as well. As your internship comes to a close, try to squeeze as much out of your remaining days as possible. Think of additional questions you might have forgotten to ask. Find out if there is an extra project you can be a part of. This is a time to gain as much knowledge and experience as possible. Take stock of your time at the company and make sure you feel you have gained all you can from the experience. Tidy up loose ends by securing your letters of reference, write thank you notes to all who helped you and leave your contact information with key people. A hands-on learning experience such as this is meant to serve as a capstone to your education and to be meaningful. By taking initiative, you can ensure that you make the most of your human resources internship.